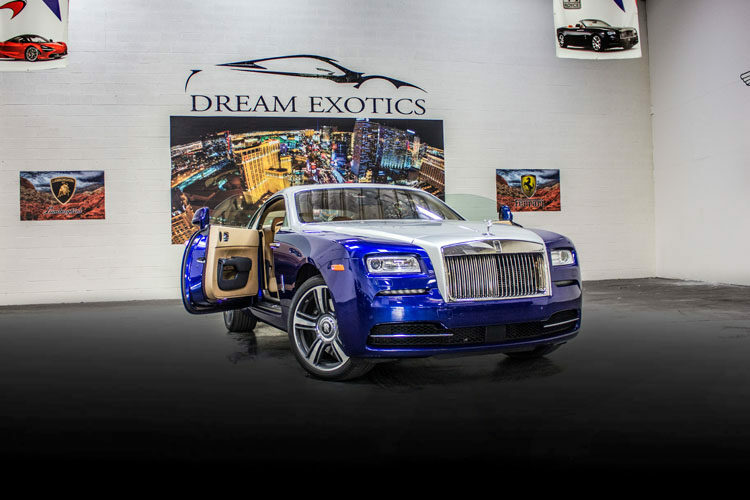 When you rent a Rolls-Royce Wraith from Dream Exotics in Las Vegas, you’ll find yourself cruising stylishly in one of the most luxurious rides on the road. 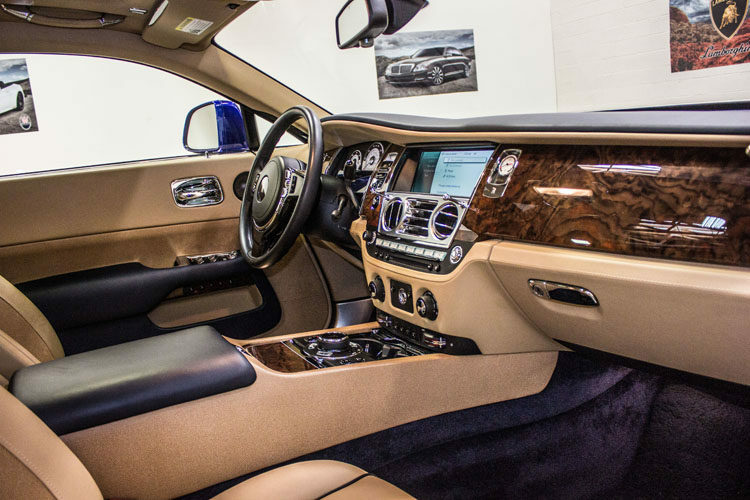 Instead of kicking back in the back seat or riding shotgun in this ride, you’ll want to be in the driver’s seat with this Rolls. 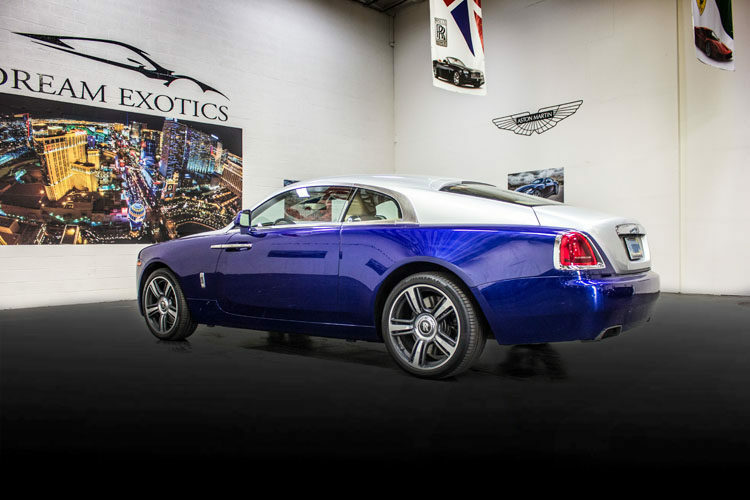 This streamlined beauty sports a tremendous amount of power, exceptional handling, and plush comfort. 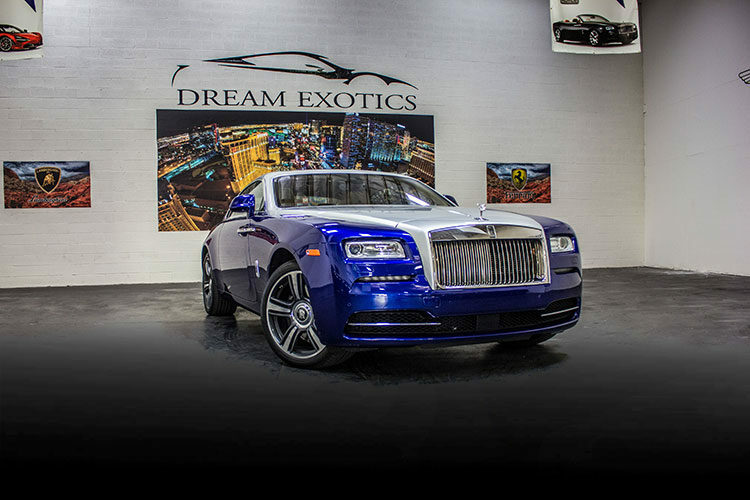 Take your Vegas experience up a notch and reserve your Rolls-Royce Wraith today. 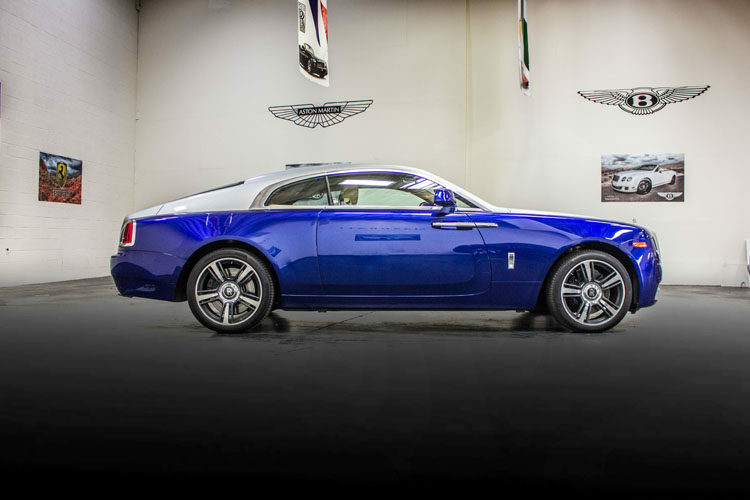 The Wraith makes no excuses for its lavish excess. This ultra-luxury sedan has looks that kill and extravagant features many people will never experience in their lifetime. However, when you look underneath the hood, you’ll find the most impressive characteristics this ostentatious automobile has to offer. In addition to swift acceleration and effortless handling ability, the list of high-performance features goes on. 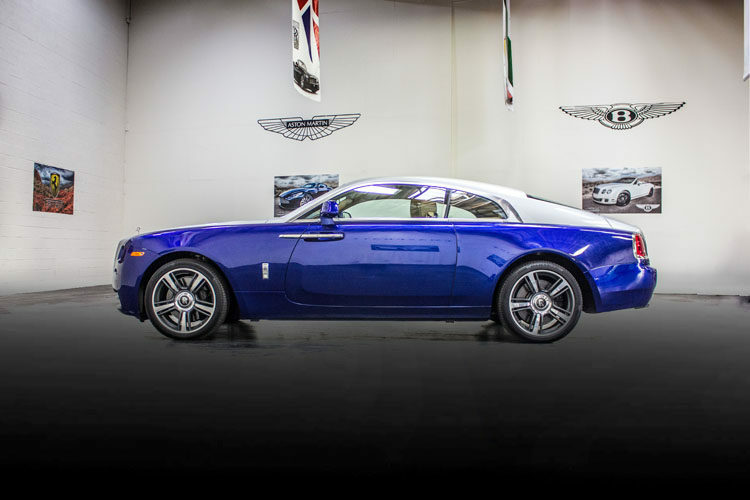 If you’re looking to impress, the Rolls-Royce Wraith draws the attention of every pedestrian and passerby around. Take that important client to dinner in this ultra-luxury sedan and allow them to be completely impressed with one of the most finely detailed, top-notch interiors ever made. You’re sure to be the talk of the evening after they bask in the comfort of the finest leather, beautiful wood veneer, and advanced technology. 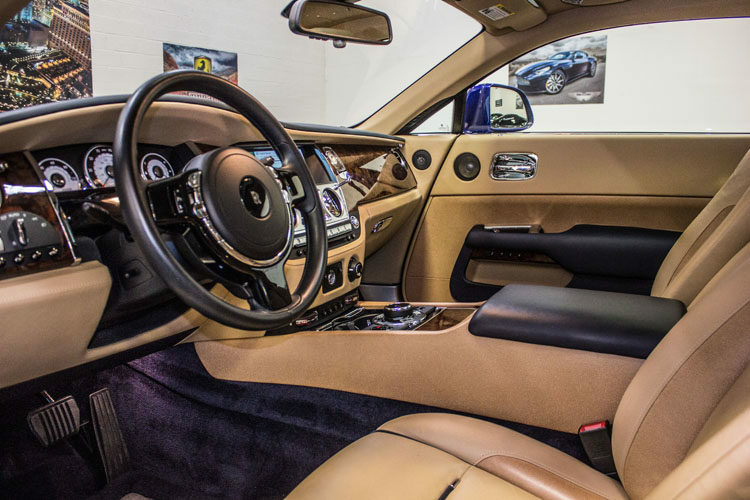 The Rolls-Royce Wraith has lumbar support and massaging features available in the front seats. If you’re in Vegas to have fun with friends, this 2-door coupe can seat four people in opulent comfort. Your squad will feel like celebrities arriving fashionably late to the club as they emerge from traditional Rolls rear-hinged power doors. 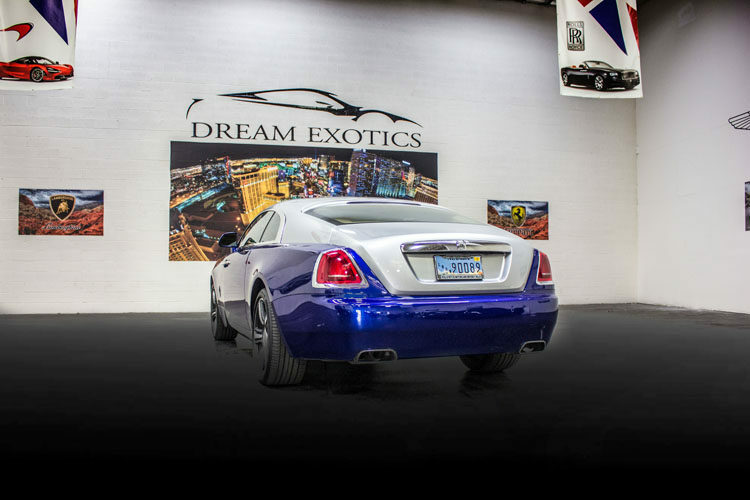 At Dream Exotics in Las Vegas, you can find the Rolls-Royce Wraith among the largest fleet of luxury cars in town. 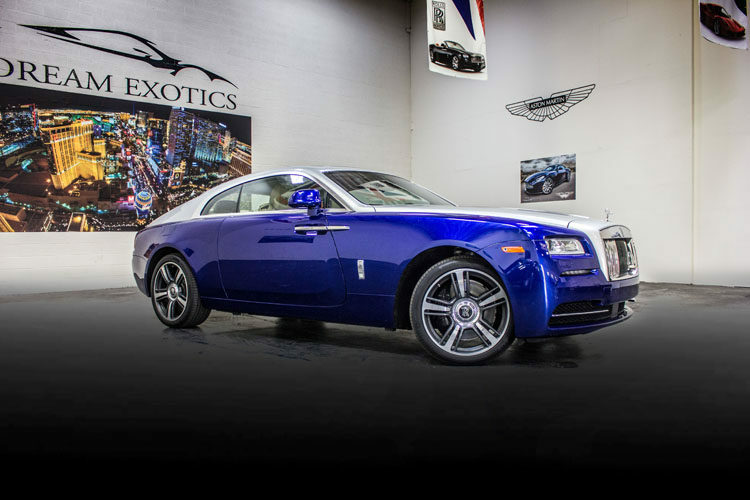 A Rolls-Royce screams importance and ultimate sophistication to everyone who sees you behind the wheel. Don’t just dress to impress, arrive in style. Let us help you make the most out of your Vegas vacation or business trip. Call to reserve your exotic car rental today.